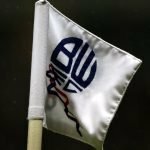 Middlesbrough v Bolton Preview: Revenge Against Pulis? With the Stephen Darby news today, it feels a bit secondary to talk about football, but there is a game for us tomorrow and a pretty tough one for that. It’s a trip to Middlesbrough, and it sees us, unbeaten away from home so far, against a team that has won all three home games without conceding a goal. ???? On camera. Phil Parkinson gave his pre-match thoughts ahead of tomorrow evening's @SkyBetChamp fixture at @Boro. Sammy Ameobi will be out for a few weeks after suffering his injury against QPR at the weekend. Phil Parkinson could make other changes, with weekend goalscorer Josh Magennis presumably able to start after recovering from his injury to make the bench in Saturday’s loss. Boro have a fairly clean bill of health, Rudy Gestede will be missing though. Britt Assombalonga – With five goals in his last three appearances against us, I wouldn’t mind seeing him pick up a minor injury in the warm-up. Bolton have lost their last five league visits to Teesside, since beating Boro 3-1 in 2008. Last season’s corresponding fixture saw us lose 2-0 on Boxing Day. This is the first time we’ve faced a Tony Pulis side since May 2012’s trip to Stoke. No, I can’t remember what happened either. If we don’t lose, it’ll be the first time since 2001 we’ve gone unbeaten in our first four aways. A trip to Ipswich on Saturday, followed by a home game against Derby a week later.